Our latest weekend excitement came courtesy of a friend-of-a-friend, who was in town to exhibit at the Antiquarian Book Fair. In a satisfyingly British turn of events*, a meeting in the pub led to a free ticket to the fair and a rather excellent excursion for a Saturday afternoon (and I didn’t even have to pay for my own pint, either). Although we had a vague idea of what to expect, it was still quite an overwhelming experience. 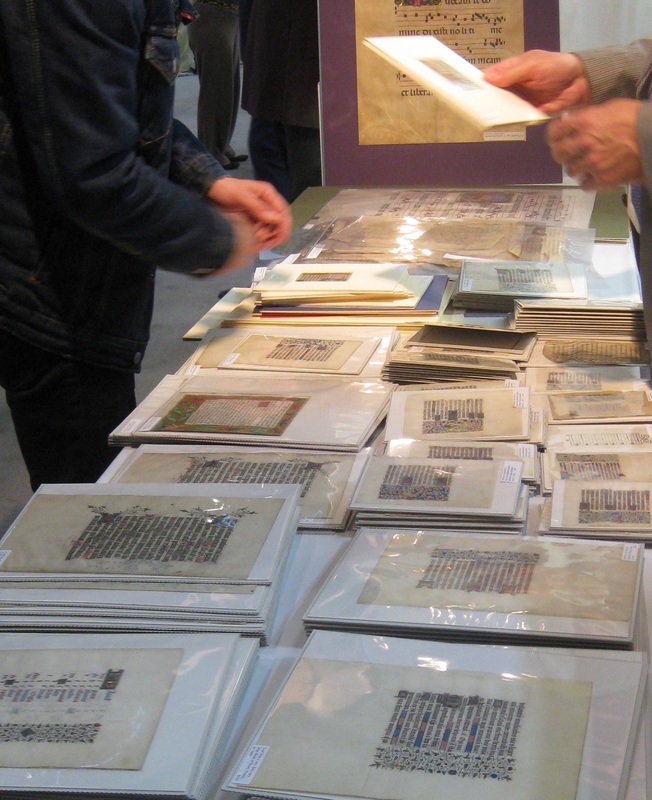 I think there were around 140 different dealers exhibiting, with enough variety on display to satisfy almost any bibliophilic taste. We spotted several old favourites (a rather fine first edition of Hooke’s Micrographia amongst them), and generally admired almost everything else. The fair was held in the Armory on Park Avenue. We walk past this building several times a week but have never been inside, so after we’d looked at all the books (twice) we had a little wander around. The bright and airy main space is quite different to its other grand and gloomy rooms, wood-panelled and adorned with portraits and miscellaneous military memorabilia. 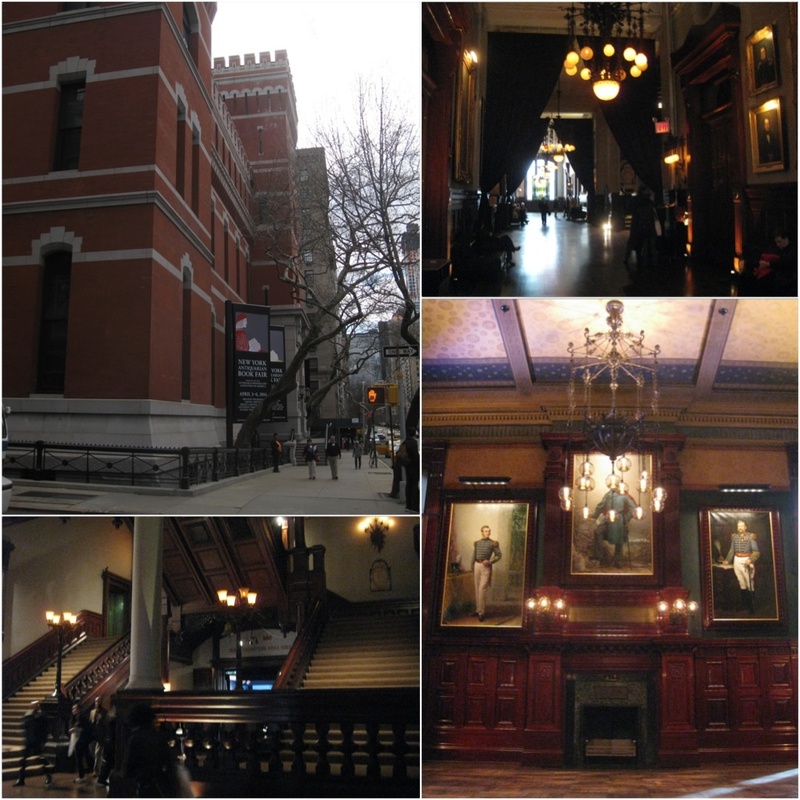 Built in the 1860s, the building originally functioned as a base (and social club) for the wonderfully-nicknamed “Silk Stocking” regiment – it was largely comprised of scions of prominent gilded age families – but these days it seems to be used mainly for exhibitions and theatrical performances, for which it provides a wonderfully atmospheric setting. * Whilst I love our American friends dearly, they don’t do the pub thing in quite the same way as back in the old country. 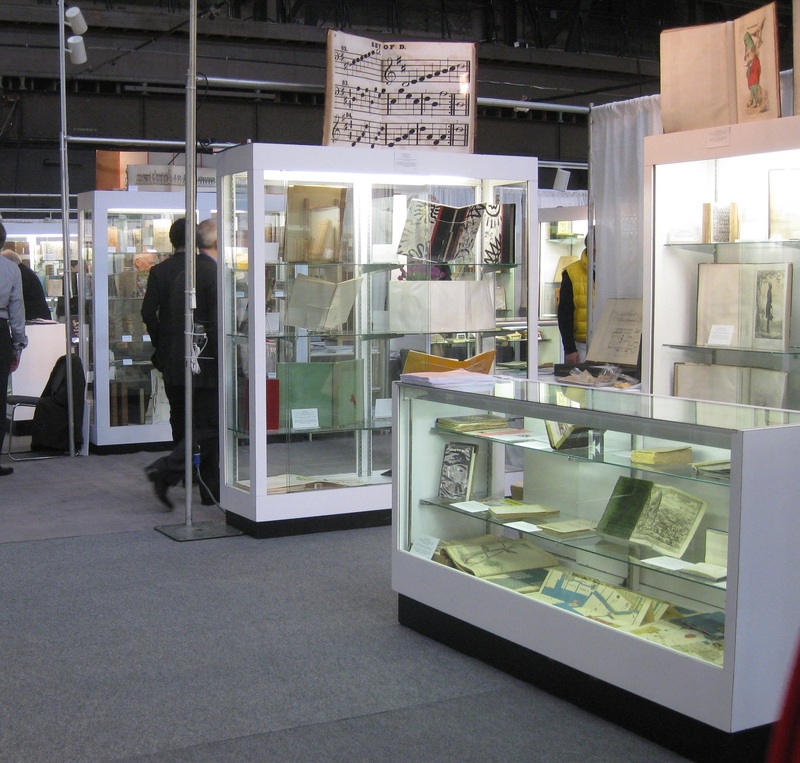 This entry was posted in Living and tagged books, manuscripts, New York antiquarian book fair, Park Avenue Armory by Emma Davidson. Bookmark the permalink.